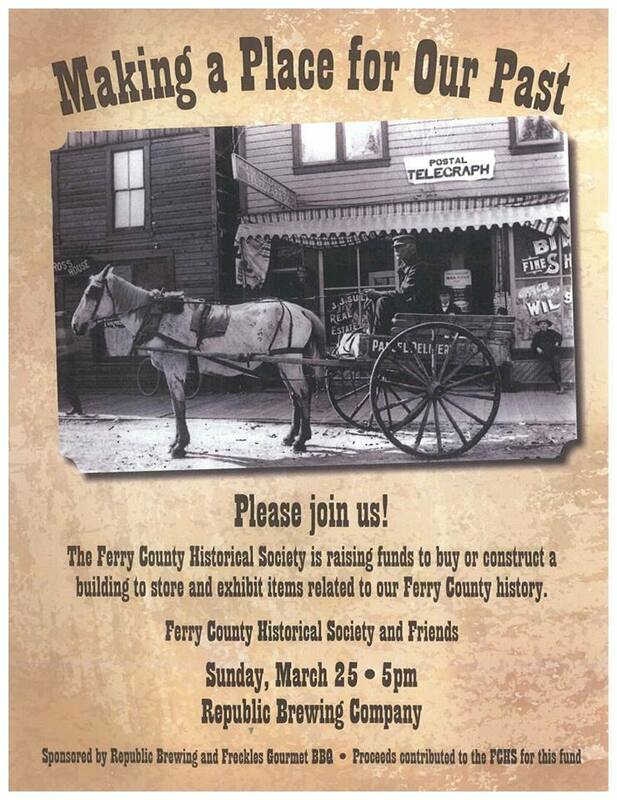 Join your friends at the brewery for a fundraising evening for the Ferry County Historical Society’s efforts to buy or build a building to house and display it’s large collection of Ferry County artifacts. Learn about the project while enjoying appetizers from Freckle’s Gourmet BBQ and sipping an RBC beverage. A fun time to gather, socialize and support our local historians.